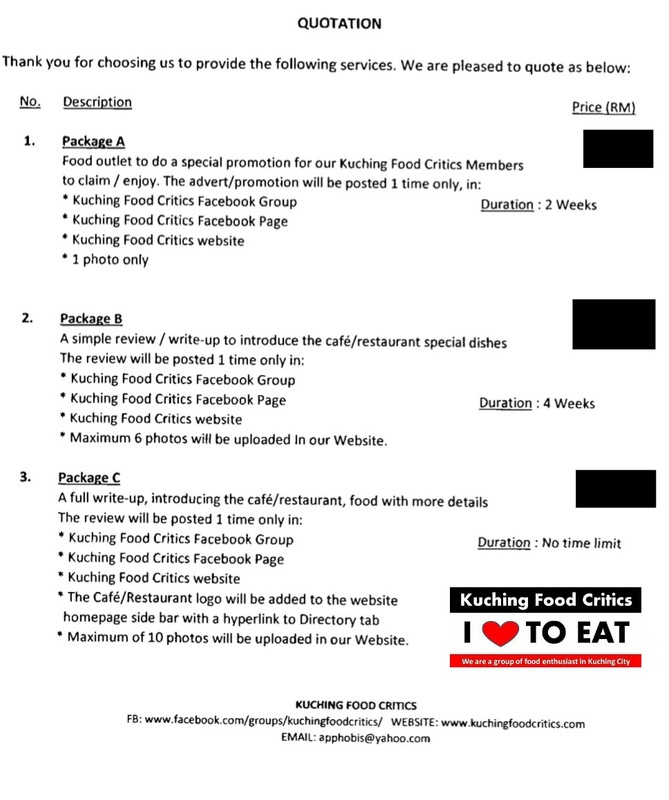 Kuching Food Critics: How to promote your business ? You can always view the Total Pageview Calculator on the Front Main Page on the Top Right side. Daily Pageviews Statistics. 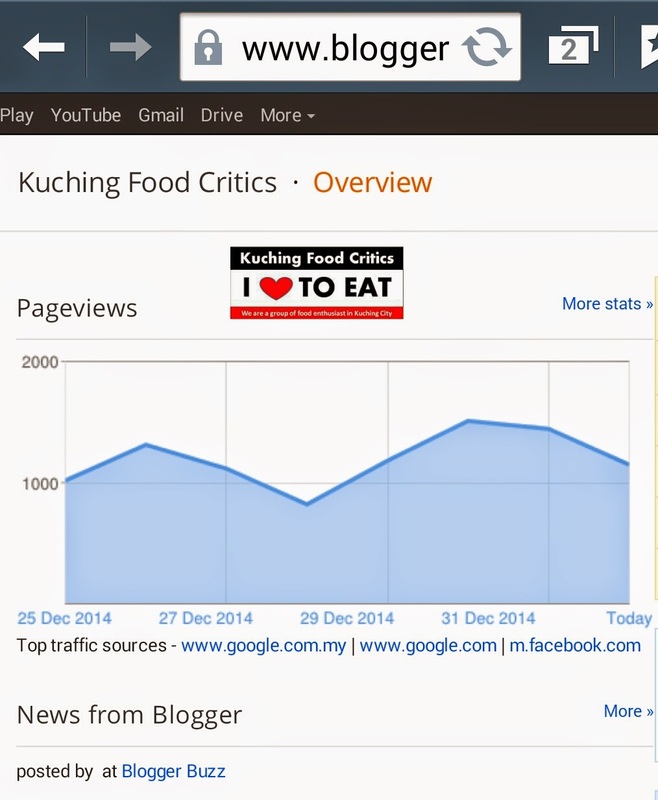 Average 1000-1500 pageviews per day. We have 3 Ways/Packages on how to promote your Business. Why are we charging for Advertisement Fees ? As you all know, Maintaining and Updating our Website and Group in Facebook needs us to pay..
1. Monthly Internet Streamyx & Mobile Data Bills. 2. Electricity Bills for our Laptop & Computer. 3. Our Efforts, Hardwork & Time to Update and Maintain the Website & Group/Page in Facebook. 4. To pay for our Yearly Website Domain rental. 5. Our Car Fuel and others car maintenance expenses to meet our Clients & for Food Hunting. 6. Stationary Expenses such as papers, Ink Printer, our Computer maintenance, Pen and etc. Besides that, We will also help you to see and give you a FREE Consultation on what thing you should improve in your F&B Business. 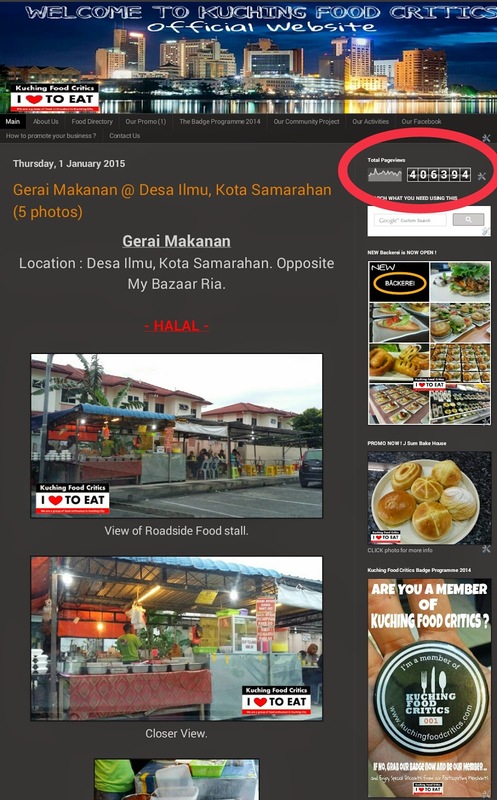 If you are interested to promote your Business/Product/Food/Stall, Please E-mail us at apphobis@yahoo.com for more info.